This is another image made with the Oil Canvas app. You start with a photo. 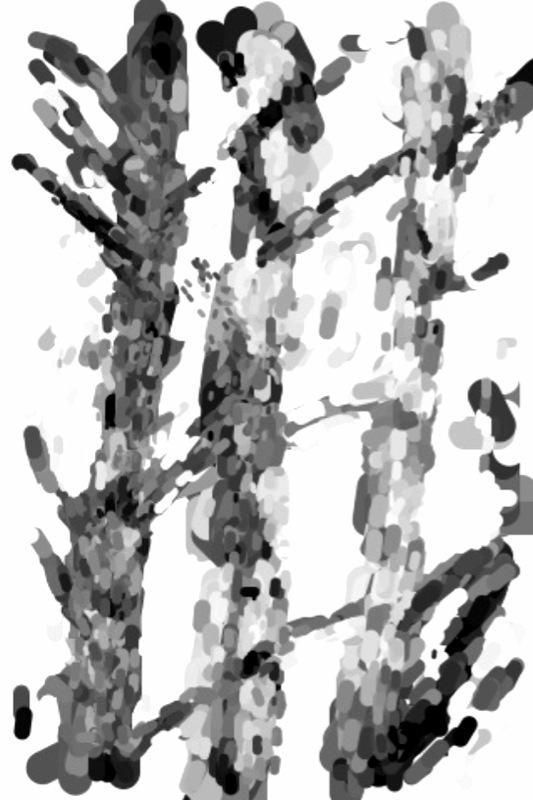 In this case I used a photo I took of the birch trees in our front yard. “Big Canvas”, the makers of the app, have a Photo Sharing web service where you can? ?post your drawings.